Clyde Adrian Woods was a Baltimore native. Woods served as Associate Professor of Black Studies at UC Santa Barbara, where he also directed the University’s Center for Black Studies Research. 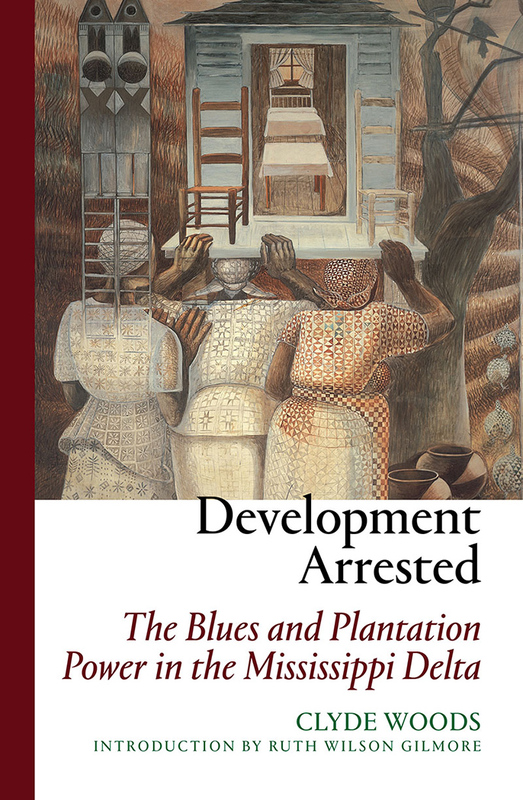 His work explored centrality of racism to processes of economic development in the American South. Woods was committed to developing and sustaining questions about blackness and the politics of place with attention directed towards African American social organization alongside critiques of racial capitalism. Woods’ legacy, including and particularly his theoretical and empirical conceptualizations of “blues epistemology” and “blues ontology”, has provided a model for scholars, at all levels, to pursue strategies and ways of knowing that extend beyond easily accessible interpretations of space and society. Woods’ approach to geography, and his scholarship more broadly, has considered the absented presences – both voices and social structures – which has significantly impacted our perspectives on race, scholar activism, and social justice. The goal of the BGSG Graduate Student Paper Award is to honour the legacy of late scholar Dr. Clyde Woods by supporting graduate students whose work focuses on Black geographies. Woods invested his time in the intellectual life of Black studies and with Black scholars, particularly students. Woods was known for providing intellectual validity to students who were unable to divorce embodied and alternative knowledge systems from their scholarship. Instead, Woods mentored students towards scholarly interventions that deciphered new practices and social visions. In the wake of Woods’ passing, his legacy has permeated a new generation of Black Geographies scholars. As with the students Woods mentored directly, this generation is working towards the transformation of scientific inquiry, resisting the exclusion of indigenous intellectual traditions of Black landscapes and geographic thought found in their projects. The Clyde Woods Black Geographies Graduate Student Paper Award is given to the best paper on a Black Geographies topic written by an MA or PhD student, who is a BGSG member. One (1) award will be given each year. 1. The competition deadline is March 23, 2018, prior to the AAG Annual Meeting. Papers must be submitted in DOC format to the chair of the awards committee, Dr. Jovan Lewis (blackgeog@gmail.com), with the email subject line “[Name] BGSG Graduate Student Paper 2018”. 2. The competition is open to all graduate students; however, a student may not receive a BGSG Graduate Student Paper Award more than once during their tenure as a student. 3. A paper submitted for this award may not be submitted to any other AAG-affiliated organization or specialty group awards. 4. Submissions must be original in content and research and cannot have been accepted for publication or be under review in any refereed or non-refereed journal or other publications. 5. Entries must be on a topic in Black Geographies. Of interest are presentations that provide a critical examination of contemporary Black spatialization, racialization of space, intersectional geographies (race, gender, class, sexuality), memory and counterspaces, and geographies of race and racism. 6. Entries must be research papers, and not complete theses or dissertations. Papers must not be longer than 9,500 words (including endnotes and references) and should be double-spaced, with 12 point Times New Roman font and 1” margins. 7. Submissions will be judged foremost on their contributions to research in Black Geographies. All papers will be evaluated by a committee of four BGSG executive board and committee members. 9. The award winner will be invited to attend the annual AAG Awards Luncheon at the expense of the BGSG. 10. 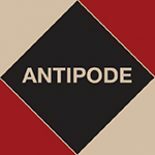 The award winner will work with Antipode’s Editorial Collective to prepare their paper for peer review and, if successful, publication as an open-access article in the journal Antipode. Throughout this process, the author will receive mentorship from a senior scholar on the Antipode team. Antipode will also host a forum about the paper on the AntipodeFoundation.org platform, inviting two scholars to write responses. 11. Due to the high number of submissions, the award committee cannot provide feedback on individual papers. 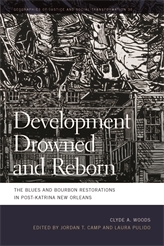 This entry was posted on 26 February 2018 by Antipode Editorial Office in News and tagged BGSG, black freedom movements, black geographies, Black Geographies Specialty Group, black spatialization, black studies, blackness and the politics of place, blues epistemology, blues ontology, Bourbon restorations, Clyde Woods, counterspaces, Development Arrested, Development Drowned and Reborn, geographies of race and racism, Hurricane Katrina, intersectional geographies, memory, mentorship, music, New Orleans, NOLA, plantation power, Post-Katrina New Orleans, race, racial capitalism, racialization of space, scholar-activism, social justice, the blues, the Mississippi Delta.